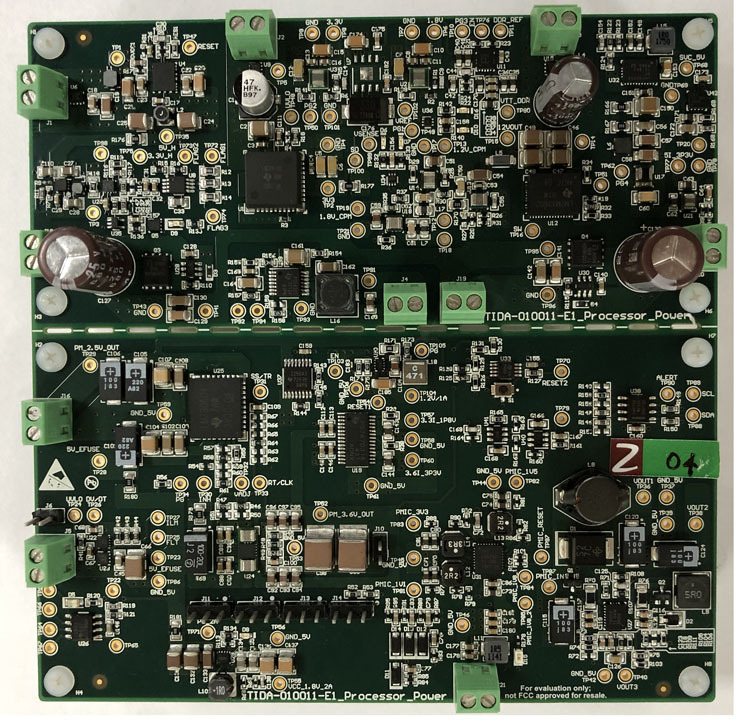 This reference design showcases various power architectures for generating multiple voltage rails for an application processor module: requiring >1A load current and high efficiency . The required power supply is generated using 5-: 12- or 24-V DC input from the backplane. Power supplies are generated using DC-DC converters with an integrated FET and a power module with an integrated inductor for size. The design features a HotRod™ package type for applications requiring low EMI. It is also optimal for design time constrained applications. Additional features include DDR termination regulator: input supply OR-ing: voltage sequencing: eFuse for overload protection: and voltage and load current monitoring. This design can be used with a processor: digital signal processor and field-programmable gate array. It has been tested for radiated emission: per CISPR22 meeting class A and B requirements.